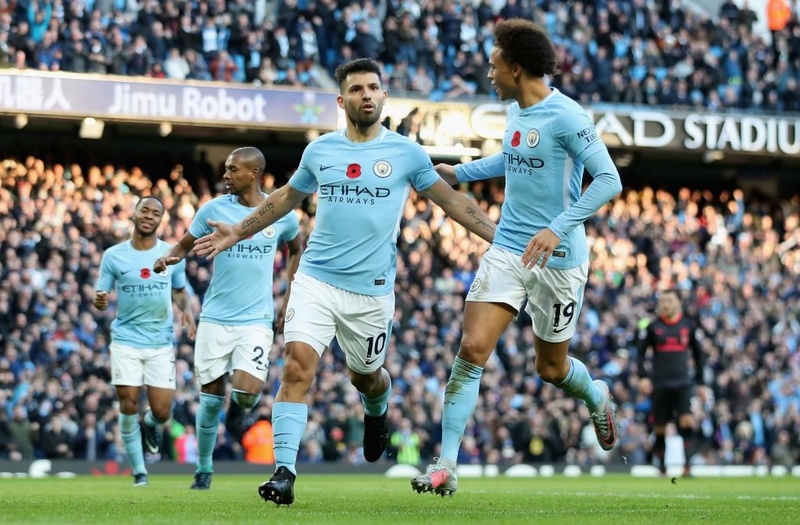 Manchester City again proved unstoppable as they put Arsenal to the sword in the Super Sunday Premier League clash; beating the Gunners 3-1 at the Etihad Stadium. Goals from Kevin de Bruyne and Sergio Aguero gave City a two-goal cushion which was reduced momentarily by Alexandre Lacazette's 65th-minute reply. Gabriel Jesus sealed City victory with a third off the bench, opening up an eight-point gap on second-place Manchester United ahead of their trip to Chelsea this afternoon. With Sunday's defeat, Arsenal have now lost four of their opening six away matches of a top-flight campaign for the first time since 1981. ALSO WATCH: Nigeria's Samuel Dumbili has scored over 120 goals for PSV Eindhoven.